The Nebu Data Suite offers an all-encompassing platform for the creation and execution of your market research projects. 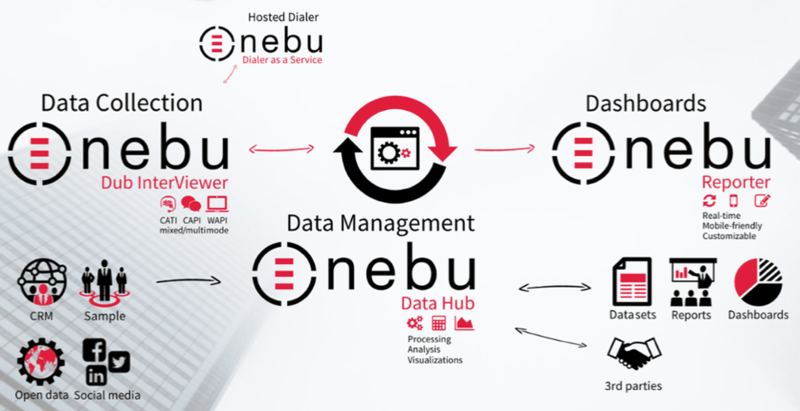 All parts of Nebu Data Suite are seamlessly integrated. This ensures that you always use the optimal tool for surveys, automation and evaluations.